Every Matt Ulery performance, live or recorded, is an event. It’s like reading JD Salinger, or watching Ingmar Bergman films, complete with their neurotic tenderness, and the delicate framing and sense of colour of Sven Nykvist. His flamboyant recording, Music Box Ballerina was a thrillingly opulent special event of the sort that very few musicians achieve once in a career, let alone several times in rather quick succession. Jump cut to 2016 and to Festival, a recording that shows a laudable hunger to explore deeply interesting, moving repertoire of compelling quality that lies neglected apart from the attention of a few musicians who seem to have the gift of imagining aural cadence in a visual realm as well. Festival features music in two incarnations: – large and small – ensembles. With regard to Ulery’s knack for surprise, how about his scoring of ‘The Peacocks’, a piece almost always played in small ensembles? To hear this ubiquitous classic configured for a 14-piece band gives the tranquil beauty of Jimmy Rowles’ piece the grand sweep it seems to really deserve. ‘Hubble’, played by the same ensemble tells, as well it should, of the mysteries that are invisible to the naked eye, or in this case to the ear. By a combination of dazzling refraction and magical carriage, we discover violins, brass and woodwinds, piano, bass and drums intertwining as if impelled by the velocity of quantum packets of energy. The next six tunes take us on a different kind of journey tapping their grand sweep both for elegiac lyricism and for romantic flourish, qualities that carry forward into the final five songs. Here, though the presence of the organ, tuba and the gorgeous vibrato that ululates at the end Russ Johnson’s trumpet lines Ulery suggests New Orleans in its inimitable glory. 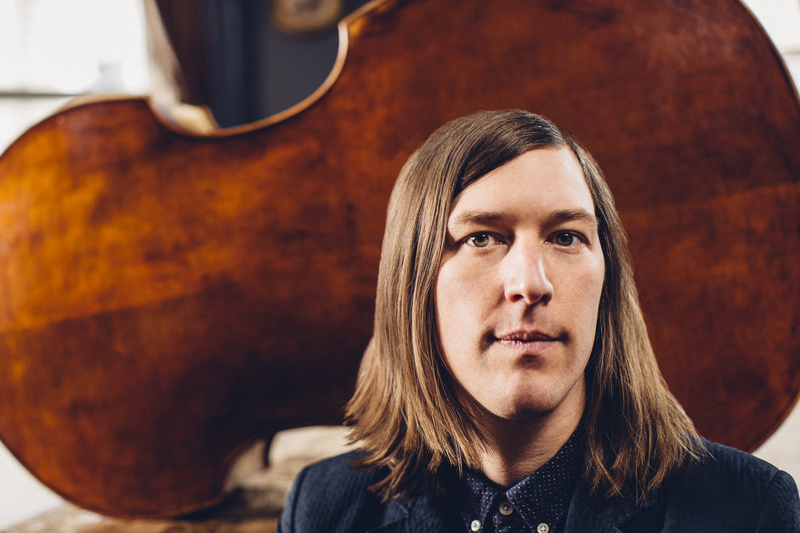 It bears mention that Matt Ulery is also a bassist of considerable virtuosity. However this fact might somehow get lost in the ebb and flow of the music. And it deserves resurrection every time the composer produces another record. His intonation is luscious, sensitive to the frequent and often surprising changes of mood and emotion. Ulery, allowing himself a much wider range of tone, emphasises his music’s kaleidoscopic aspect, bringing out the poetic quality of its many splendoured episodes. He gives his entry in the songs a playful, spirited character that goes beyond the brilliant complexity of the music and brings out even harsh dissonances with uncompromisingly sustained tone. It is this character in Ulery’s playing that provokes the orchestra (first two songs) to enter into the spirit of the music with lively tuttis and well characterised wind, brass and rhythm ensembles, and even in smaller configurations with deft and colourful personality. How can you not be inextricably drawn to a performance that is so intriguing and enduring? Youth has long been thought of as being a considerable impediment to the artistically successful – live or recorded – music especially that played on the violin. But Scott Tixier has always done everything early, from discovering the music of Eddie South, to his fearless repertoire – all composed (by Tixier) on his first album, Brooklyn Bazaar(Sunnyside, 2012) and his 2016 album, Cosmic Adventure. It doesn’t end there. He was awarded the first prize of “Trophées du Sunside” in Paris when he was only twenty-one and has performed with a clutch of great musicians from Stevie Wonder to Anthony Braxton before his thirteenth birthday. Fabrizio Sotti’s life-affirming celebration of the guitar and music made on it is memorably captured on this disc Forty. To stretch a point even further, the recording of (mostly) Sotti’s music is a feast for performer and listener alike. The Italian-born improviser writes in a style that is at once accessible and piquant, clearly structured yet full of fantasy. Fabrizio Sotti has an uncommon knack for moulding works of vital expressive content. The repertoire – nine of the ten songs on this record – appears to be fairly recent revealing Sotti’s debts to previous masters but also his distinctive way of rendering material in his own singular way. Titles don’t even begin to describe the wonderfully angular music. ‘Dangerous Walk’, for instance, far from being full of foreboding is in fact a score of vibrant design whose rhythmic vivacity and thematic unfoldings are matched by an atmospheric sense of sonority. ‘Beginning Now’ is a skilful, swinging piece that is quite interestingly complex and challenges the dexterity and control of its interpreters. ‘Thalia’ a ballad written for Sotti’s daughter is the epitome of a ‘heart-song’. ‘How Insensitive’, the only song not written by Sotti lives up to its title in the way the thematic images evolve throughout the score. The guitarist’s music requires the services of artists who can tame formidable technical beasts and bring colourful delineation to a multiplicity of moods and textures. Bassist Peter Slavov and drummer Francisco Mela are just such musicians. Their performances are crisply articulate, rich in contrasting hues and attentive to the panoply of significant gestures that make Fabrizio Sotti a composer of notable inventiveness and magnetism. Add that to the fact that he is a young guitar master on his way to a rarefied realm and you have quite a musical find.